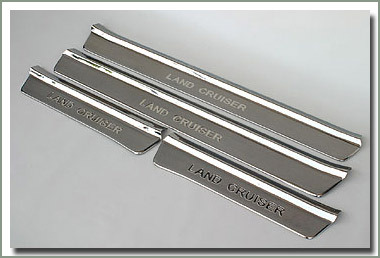 Add a touch of style with this new Stainless Steel Scuff Plate Set available for you 80 Series wagon owners. 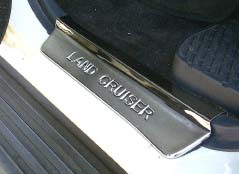 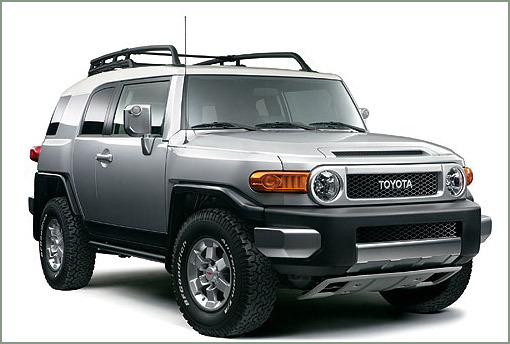 These attractive plates have 'Land Cruiser' stamped into the surface of all four pieces. 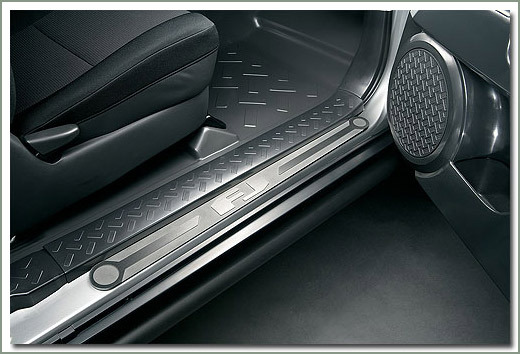 Set includes door sill plates for front and passenger doors. 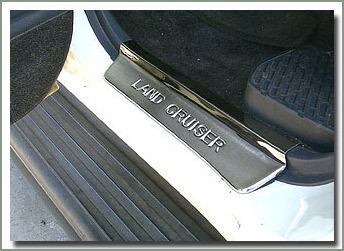 These plates are installed with industrial grade adhesive strips.